THE LAST DOCK YOU'LL EVER BUY! 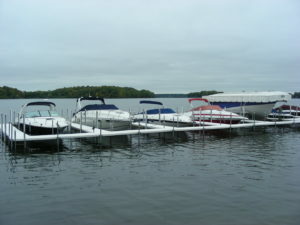 Why the Galv-A-Dock System is right for you! 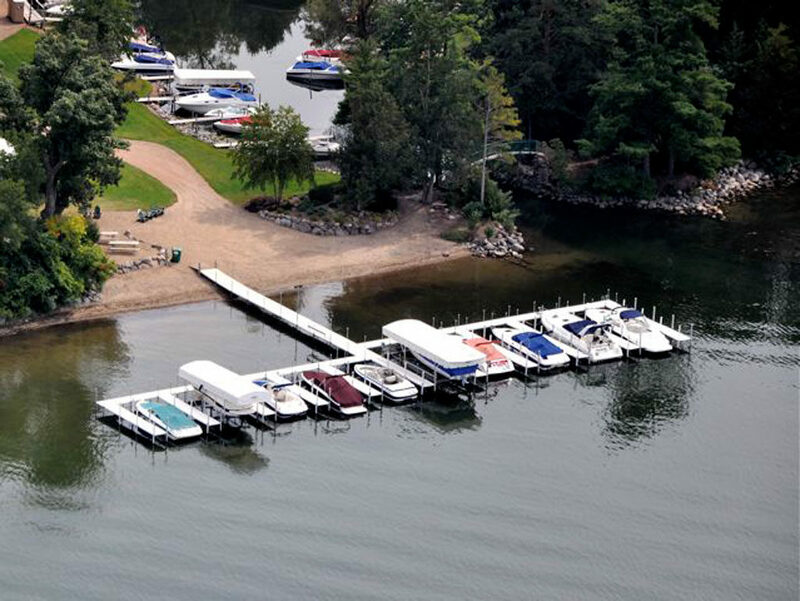 A Modular Dock System – set up in an unlimited number of various configurations that can be easily expanded and redesigned in future years. 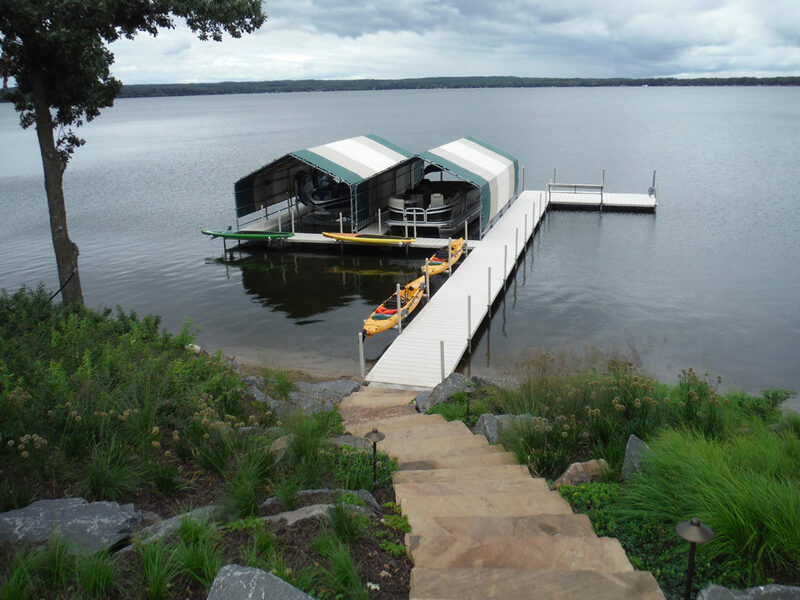 The strongest, most rigid dock system available, with solid, one-piece molded maintenance-free plastic decking, backed by an extended product warranty. 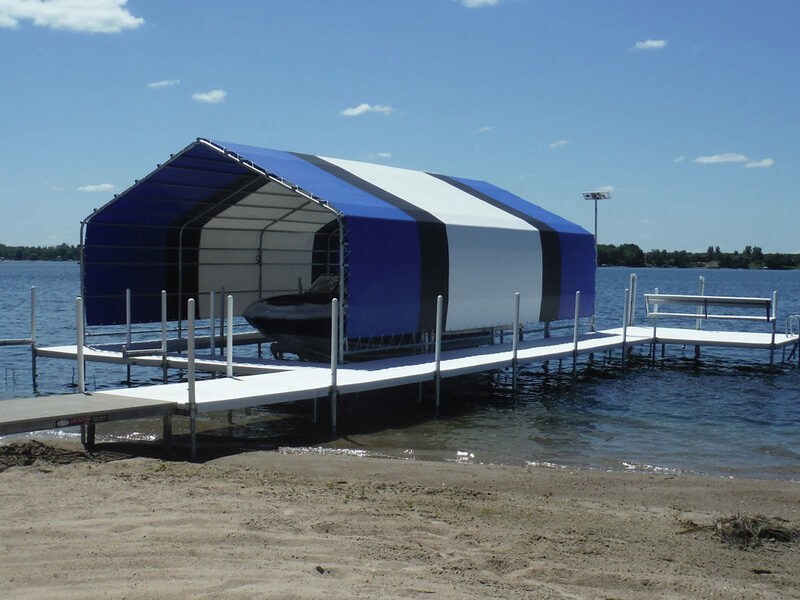 Wide range of accessories available – customize each dock with a wide range of innovative accessories to maximize your enjoyment without sacrificing the deck surface area. 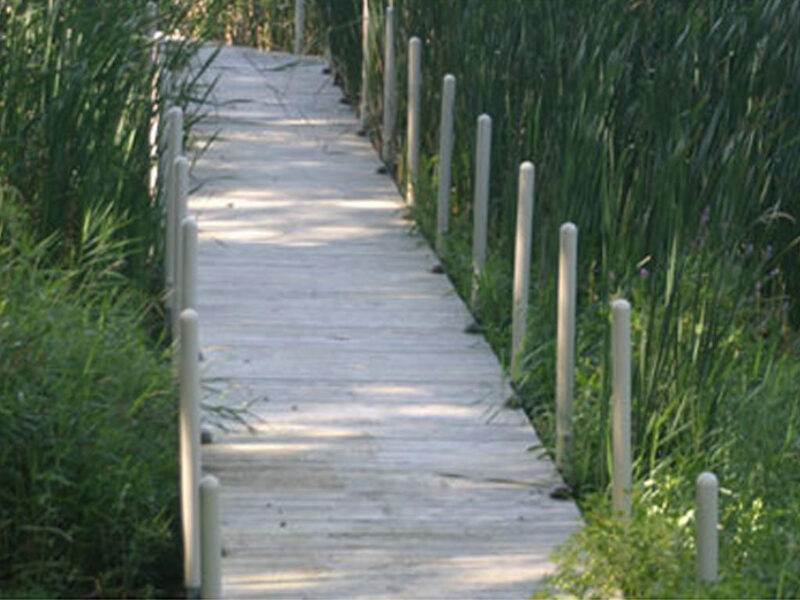 Aesthetically pleasing decking – molded in White or Beige color with slip resistant texture which offer the cool comfort on hot summer days from the sun’s rays. 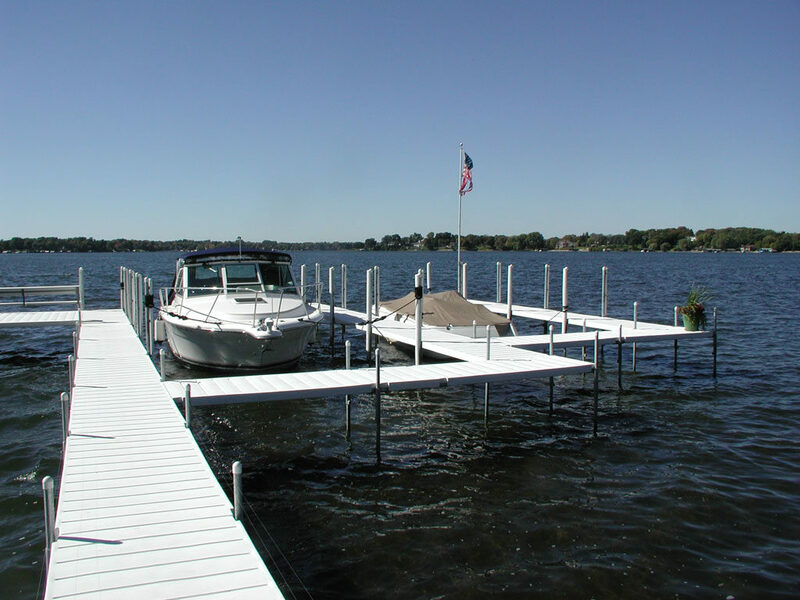 100% Maintenance-free Polyethylene Decking will not break, rot, splinter, crack, peel or corrode, eliminates costly annual dock maintenance. 100% Maintenance-free weight Galvanized Steel Components – will not oxidize, rust or peel. 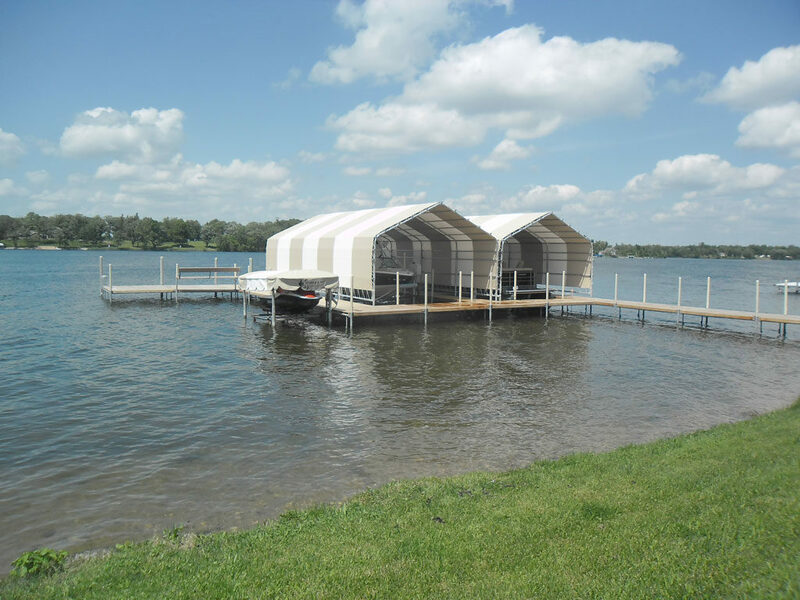 Our steel fasteners are made of the same Galvanized Steel material with our specially formulated lubricant, which eliminates the frozen fasteners that all other stationary seasonal docks experience. 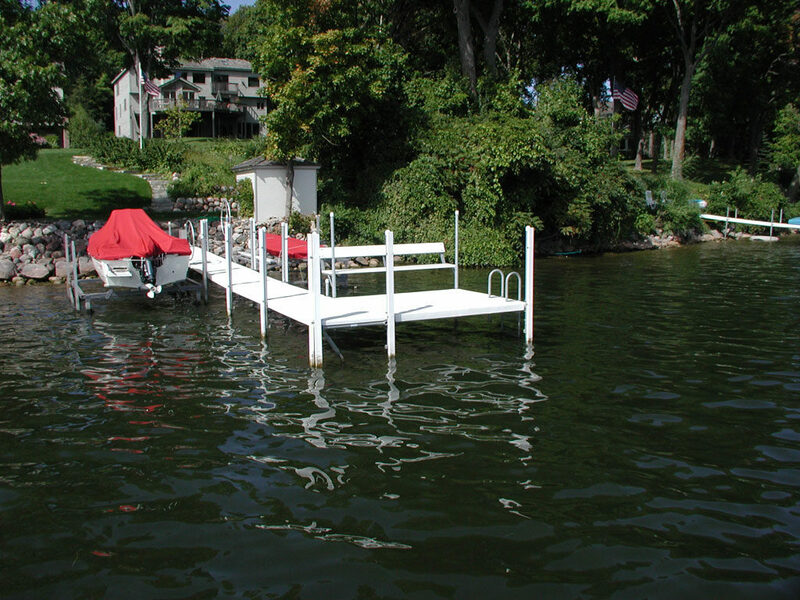 A variety of options available when dealing with soft and or deep-water installations—from base plates for added support, to side sway stabilizers when docks are in water depth greater than 6’ to best fit your application. 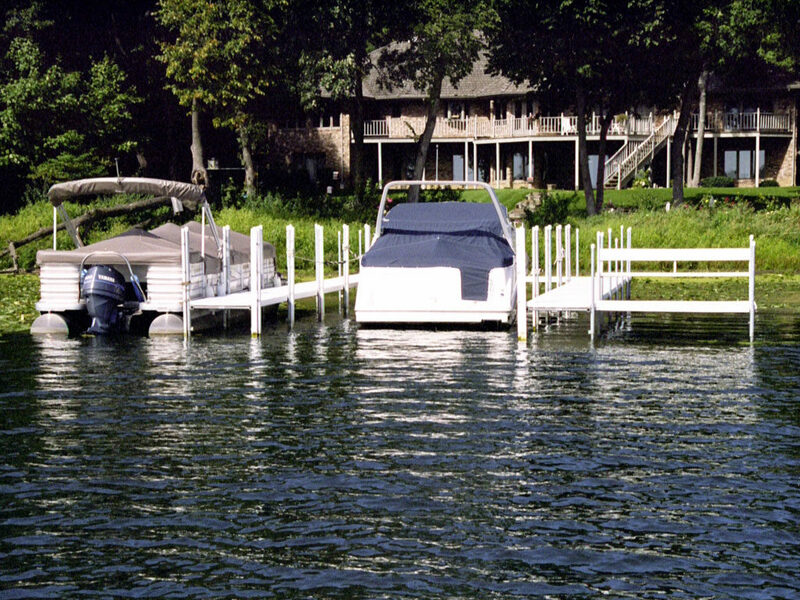 Installation – a dock system designed with the installer in mind. 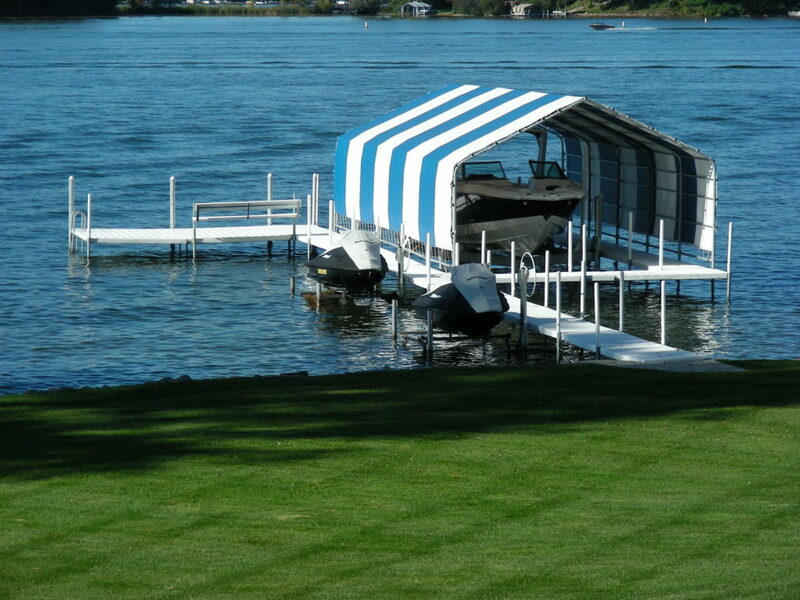 Can be installed by one person with our above water method of installation, with no need to get in the water. 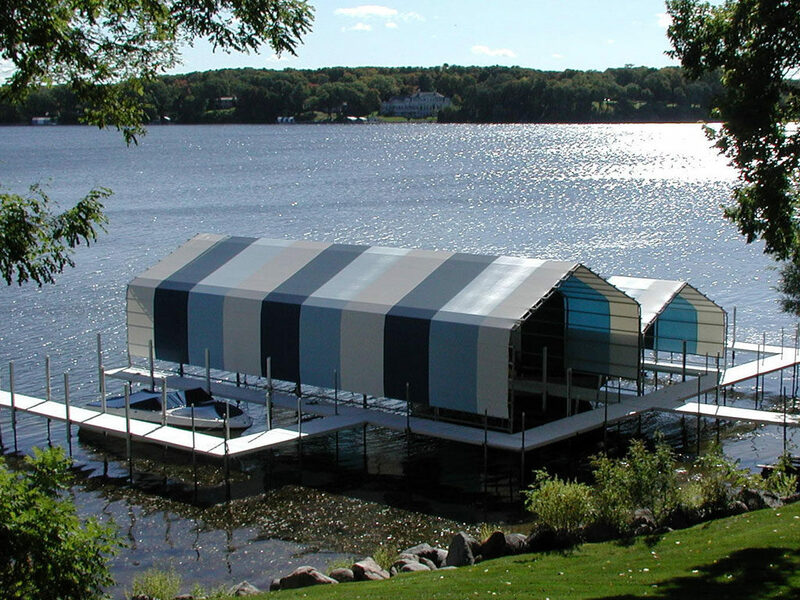 Exceptional stability – from the above water tubular framework that is locked to the ground when properly installed. History has shown with over 45 years of proven success of withstanding severe high wind storm damage.